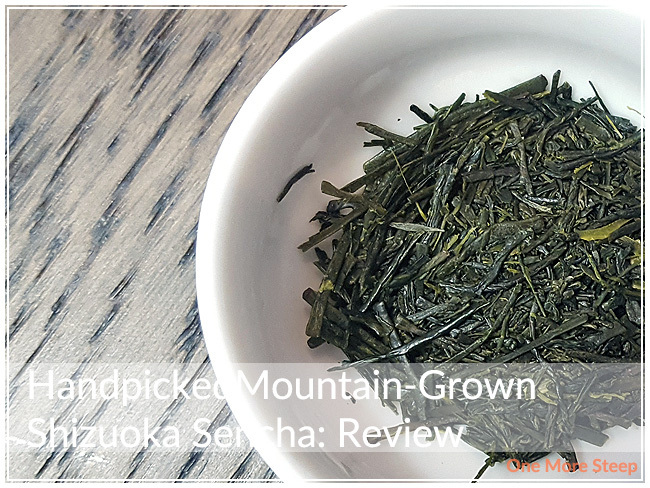 Yunomi has provided me with Handpicked Mountain-Grown Shizuoka Sencha for the purposes of providing an honest review. Yunomi sent me this Handpicked Mountain-Grown Shizuoka Sencha from the Murakami Tea Garden, located in the Yoshiwara District, Shizuoka Prefecture. I was able to learn from the Yunomi website that the Murakami Tea Garden was established in the late 19th century, and they only produce 1300kg of tea each year as they only harvest the tea leaves from the spring first flush harvest. This sencha came to me in a beautiful golden paper covered foil packet that’s resealable. The sencha was steamed for 90 seconds after being harvested on May 4 2017. It’s kind of amazing that they can tell me exactly when it was harvested and for how long it was harvested. The smell from the dry leaf is very lightly salty, a bit of seaweed, a bit of ocean air. There’s a slight underlying sweetness to the aroma from the dry leaf that reminds me of flowers and peaches. Yunomi has recommendations for the first three steeps. First steep at 60°C (140°F) for 1-2 minutes, second steep for 15 seconds for 80°C (176°F), and the third steep for 45 seconds at 80°C (176°F). I followed the instructions for the first three steeps of this Handpicked Mountain-Grown Shizuoka Sencha. Yunomi also includes that if you use a hotter temperature water, it’ll be more astringent; and a cooler temperature water, the tea will be sweeter. The initial steep of Handpicked Mountain-Grown Shizuoka Sencha steeped to a pale green-yellow. The aroma that wafts up from this sencha is one that reminds me of salty air by the ocean and there’s underlying honeyed sweetness to the tea. I sipped it and found it to be just a touch sweet and salty at the same time. 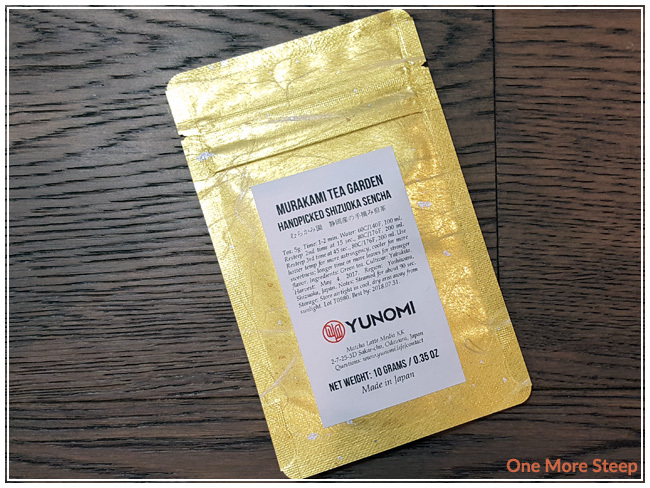 The umami flavours are quite good, I found zero astringency and bitterness when I steeped it at such a low temperature compared to other green teas I’ve had in the past. There was a subtle flavour of floral sweetness in the tea that I find quite enjoyable. 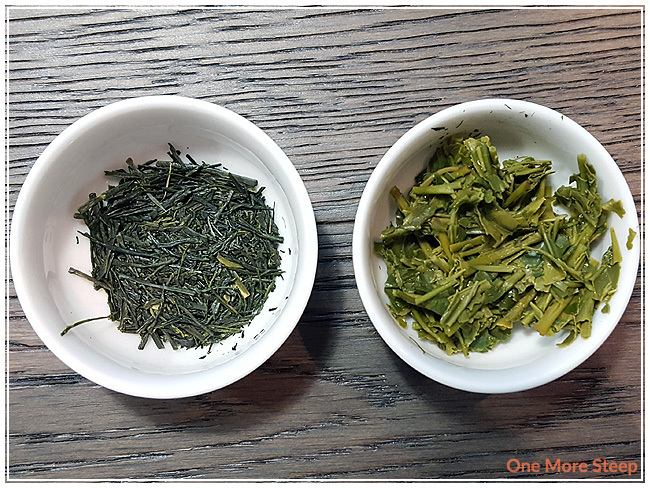 I followed the Yunomi steeping recommendations for the second and third steeps for this sencha. The green tea became sweeter and saltier with each steep. I found that I could steep the same leaves a fourth and fifth time, and found this Japanese green tea became a touch sweeter. The sixth steep was quite watery and unenjoyable. I would recommend a total of five steeps with this sencha. 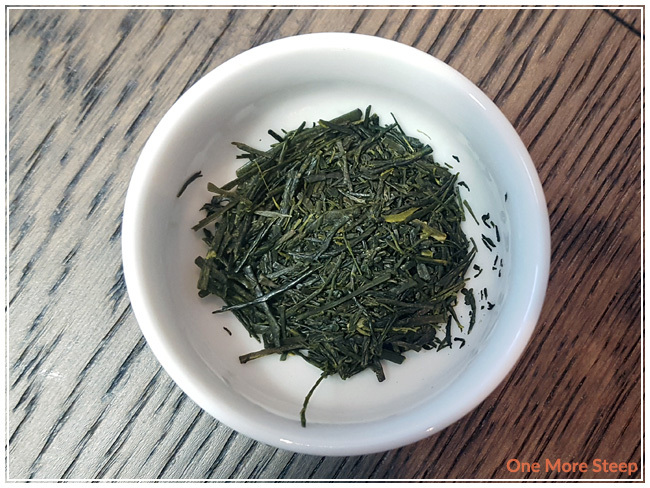 I loved Yunomi’s Handpicked Mountain-Grown Shizuoka Sencha. 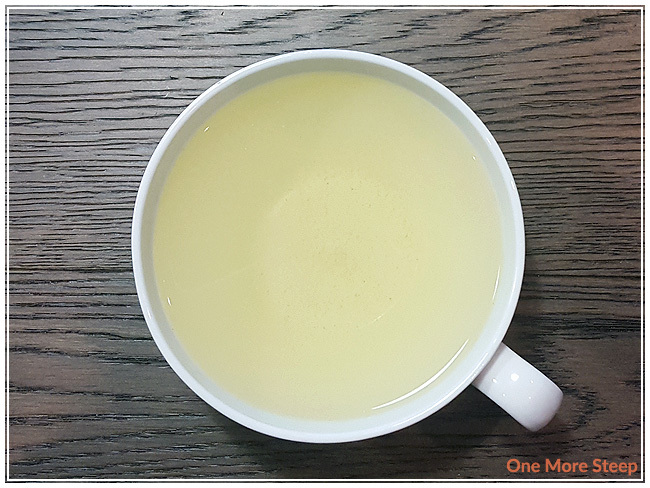 From the dry leaf to the steeping process and the smell that comes up from the wet leaves, this sencha has a beautiful fragrance and flavour. I really enjoyed the contrasting sweet-and-salty flavours in this sencha and I’m quite happy to have tried it. I like that the tea can be resteeped a few times is a lovely quality to the sencha – especially as Yunomi included extensive steeping instructions for not only an initial steep for subsequent steeps as well.